The image shown below came from a Ben Peterson’s web portfolio, part of Intelligent Entertainment Business – a group brought in by Microsoft to look at potential future user experience scenarios. 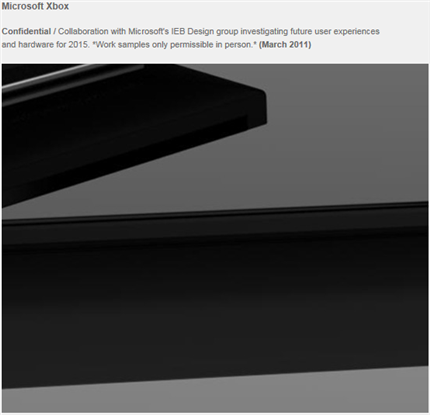 Could this possible leak mean we’re set for replacement to the old workhorse Xbox 360 in 2015? With the current crop of consoles now starting to get on in years, it’s believed both Sony and Microsoft are looking to bring new hardware online in the next 5 years, with the current crop of hardware having a 10 year lifespan. 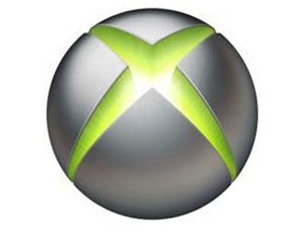 What really interests us is the direction Microsoft could take with the next Xbox. Will we see an iterative hardware revision or will the boys from Redmond want to get out in front of the competition with something brand new to the market, just as they did with the Xbox 360 and Xbox LIVE? One thing is for sure though – 4 years is a long time to wait to find out!